See what others are saying about New L.E.A.P.S. Our daughter has attended NLA now for the 2nd year, and we could not be more pleased with the progress she has made. It was our decision to put her into a private school so that she could get a more individualized learning plan and work at her own pace. We have come to find, that our daughter does not always learn as quickly, or test as well as what our state has considered “traditional”. NLA has worked immensely on improving their standards and working to see that the children are given the right tools they need to succeed. I love that I can stay in direct contact with my daughter’s teacher, and the school administration to work together on my daughter’s progress. 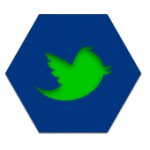 They keep an open door policy and welcome any and all feedback as to how they are doing. NLA is a wonderful choice, and they remain affordable for an average working parent. I have had the pleasure of knowing Ms. Pearlyn for two years now, and have nothing but the utmost respect for her. My daughter was fortunate enough to be a student in her class last year, but she has since advanced to the administration board. She is highly regarded as the mold that keeps the school together, and can often be seen helping in the classrooms as needed. Ms. Pearlyn is friendly, energetic, motivating, and an all-around pleasure to be around. She can always be relied upon to sit down with you and discuss any concerns you may have. She also encourages you to take an active approach at being involved in your child’s education because it is a cooperative effort. I feel that she genuinely cares about your child, and pushes them to their learning potential, and you just don’t see that anywhere anymore. 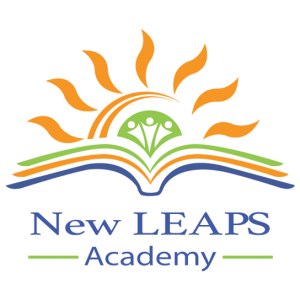 My son joined New L.E.A.P.S Academy in kindergarten and was the youngest child at the time. He was diagnosed with Autism so we, as parents, were very particular about where he would attend as well as who would be in the school. Other children’s needs were as different as my son’s and each learned together as a group, feeling inclusive. He thrived with the class and enjoyed learning to listen, follow instructions and participate in class activities. My son is now in third grade at New LEAPS and loving it still. He loves New LEAPS because of people like “Ms Pearlyn”. Ms Pearlyn joined New Leaps Academy as a volunteer and was teaching the following school year. During the school term she assisted each class when the extra help was needed. She taught her class and provided guidance and instruction for another class when the teacher transferred to another school. She also filled in the administrative/assistant principal position when it became vacant before the school term had ended. Even though she had all these positions to fill she did it with professionalism, courtesy, attention to detail, and enthusiasm. For the school term 2016-2017, Ms Pearlyn became the school principal and assistant director. She brought in a staff of professionals that greet the children with a welcoming smile. She has been a strong advocate for the students, each on their own abilities. She observes, overseas, and encourages the teachers to help each student achieve the most from the school day. Ms Pearlyn maintains a positive relationship with parents encouraging participation in their child’s education. During the school term New L.E.A.P.S. 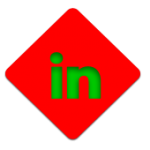 publishes a quarterly Newsletter as a way to inform families. Each teacher provides a current report of what was studied and what will be studied in weeks to come. Additionally, Ms Pearllyn provides upcoming event dates. 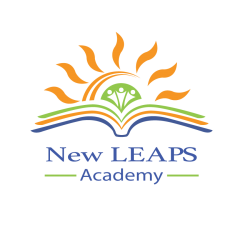 New Leaps Academy depends on sponsorships in addition to scholarships, tuitions, fees and donations. There are fund raisers during the school year where every family is encouraged to participate. The largest fund raiser is golf. Family members volunteer to help during this event and have loads of fun. Ms Pearlyn is a great supporter of these school events. I want to thank you all for the get well wishes and St. Valentine’s Day cards you sent me. I want you to know that I am feeling better and your well wishes definitely helped. Each and every card made me smile and feel just a little better and better as I read through the mail. It warms my heart to know that you all care for me so much and I appreciate your thoughtfulness. Thank you so much for being such special friends. I miss seeing you all and will come to visit very soon.